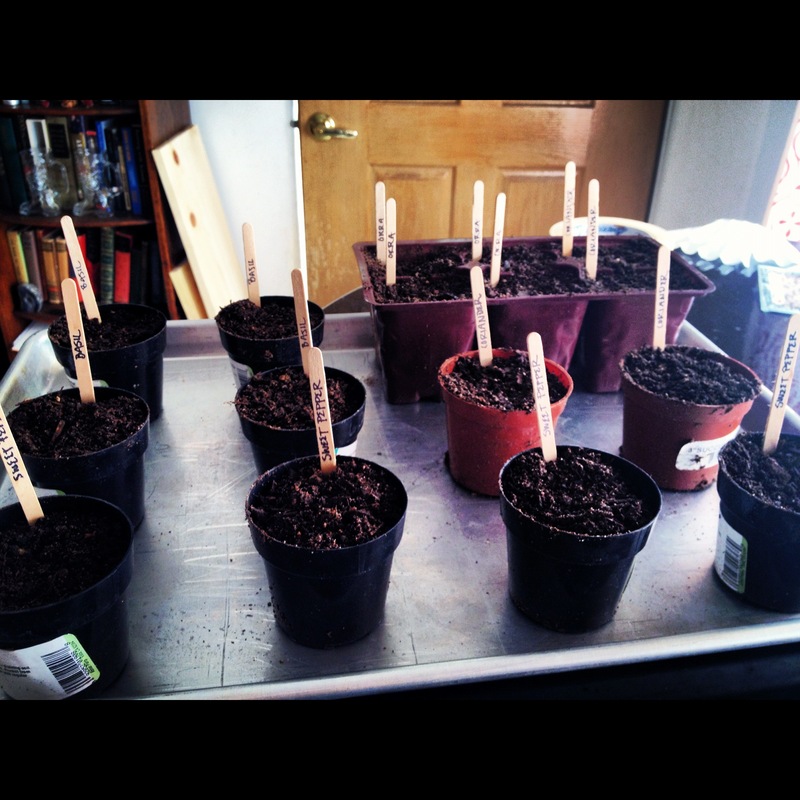 Yesterday we started the process of germinating a few seeds. Not every seed can go directly into the ground, so it’s important to sprout them inside before you throw them in the soil. 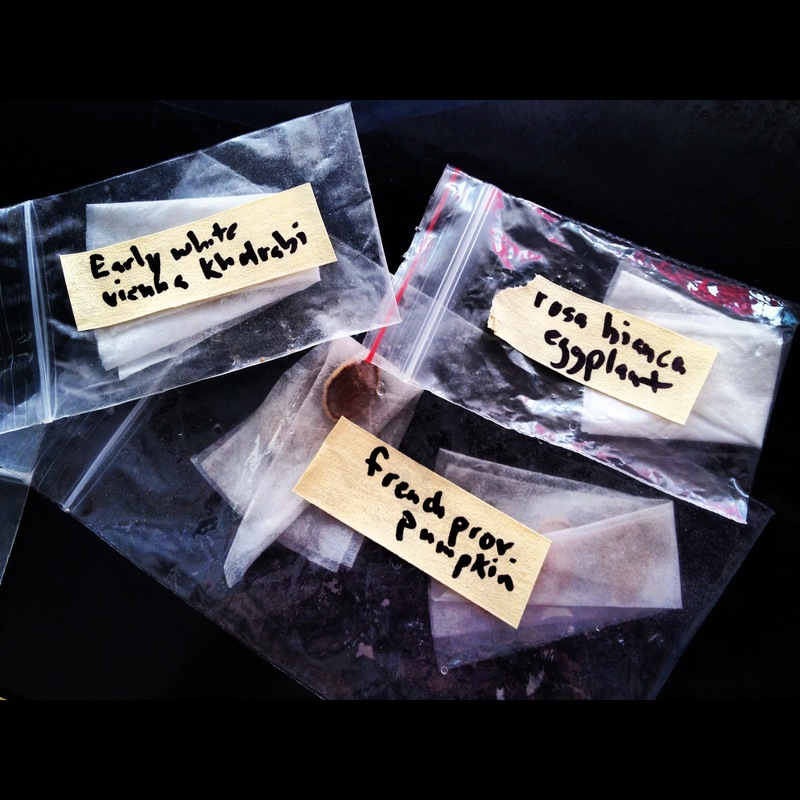 To work with a few of the seeds we already had on hand (khulrabi, pumpkin, eggplant, fennel, and a few others), we cut coffee filters into quarters and dampened them with a spray bottle. We then folded the coffee filters in half, then half again, and tucked the seeds inside, carefully folding the filter back together to lock the seeds loosely in its dampness. 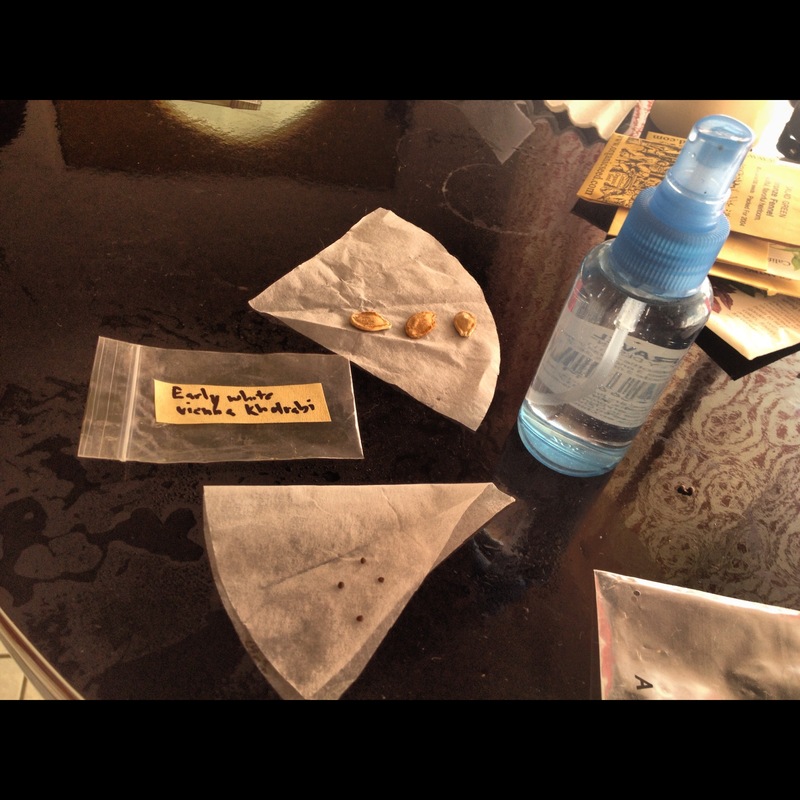 Next we placed the seeds into little baggies to help keep in the moisture. We did not seal the bags up so that air can reach the seeds. We’ll have to spray a tiny bit of water into the bags every now and then to keep them from drying out. 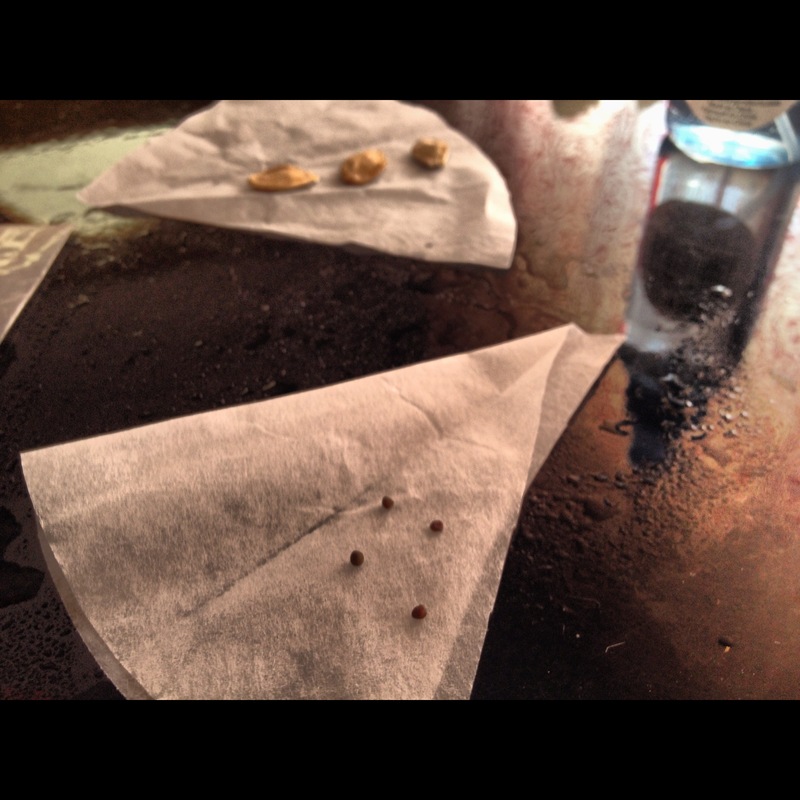 Some seeds we were able to do a direct plant into some soil. We had a bunch of tiny pots left over from the mass succulent purchases this summer, so we filled those with potting soil and carefully laid the seeds in them. Each seed needs to be planted at a different depth, so we referred to the seed packets for this information. We labeled each pot so we won’t get confused as to which pot has which plant in it. 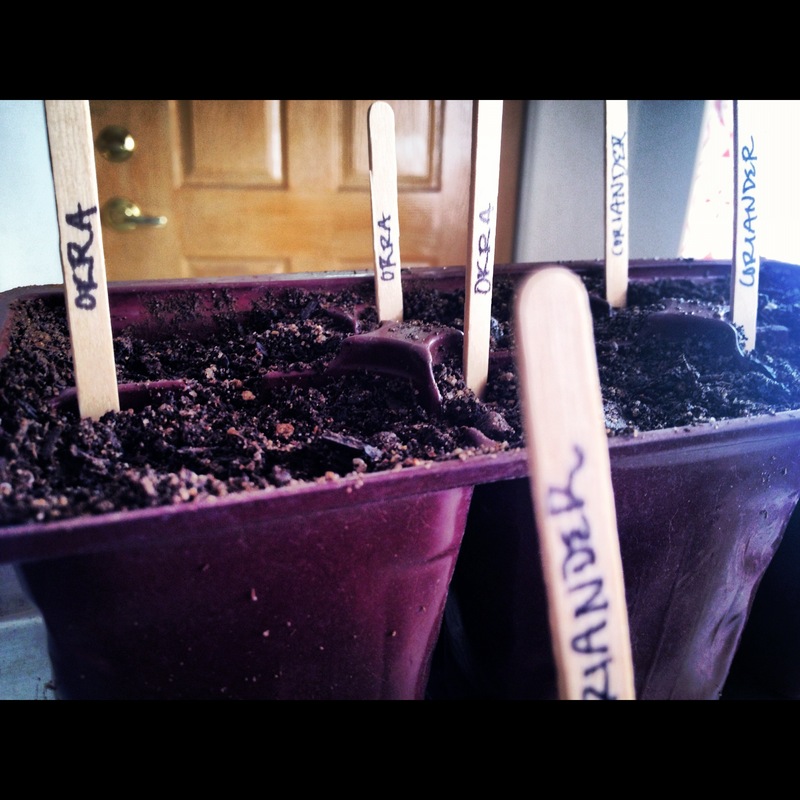 Above we have sweet pepper, basil, coriander, and okra. Oh boy! We put the pots onto a cookie sheet so we can spread water across the bottom for the roots to soak up. For now we are okay to water them lightly with the spray bottle on top of the soil, but once they sprout, they’ll need to be watered this way. I am very excited for all of this garden business! We are also ordering a few more seeds from burpee.com, including varieties of tomato, radish, carrot, parsnip, arugula, spinach, kale, onion, and broccoli. We’re also on a hunt for some herbs, but I’d like to find them already sprouted at a nursery. I’m not sure which nursery around here will carry all the herbs I want… I guess I’ll have to do some exploring! 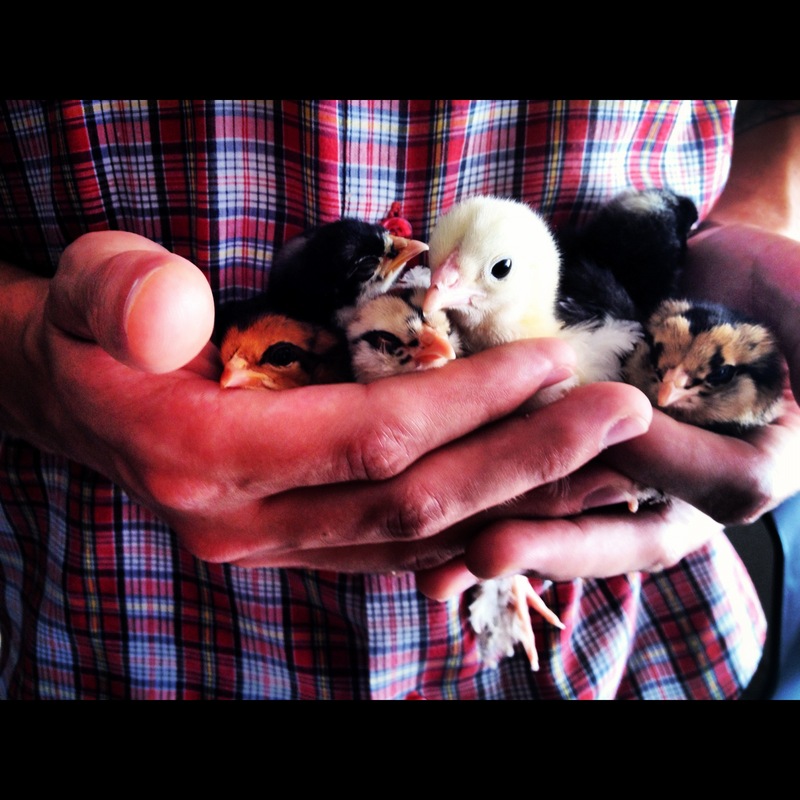 In other news, the baby chicks are doing excellently! Every day they get a little more clever, a little stronger, and a little more adventurous. I can’t believe that in about six months they’ll be laying eggs! They are so, so tiny right now, and still so very sweet.